Carine Robin obtained her Master’s degree in Psychology in Belgium in 2002, specialising among other things in child psychology. She worked for various social services including a foster care agency, a contact centre and a day centre for adults with mental deficiency. In parallel she also worked as a private counselor for children and their family. In 2006, she moved to Ireland and started to work in a daycare nursery with children from birth to 5 years. This is where she discovered the Montessori education. In December 2007 after having her first child, she started to read more about the Montessori education from birth. Her passion for Montessori led her to gain a Montessori diploma in 2009. She worked as a Montessori teacher until she moved to the UK in May 2011. In London, she ran successfully for 3 years a Montessori based parents and toddler group while welcoming her second child in 2012. She then relocated to the Bedfordshire, where she worked as the manager and Montessori lead teacher of a Montessori preschool for 2 years. At Montessori-family, we believe that it’s truly possible to implement the Montessori ideas at home to make your house and family life welcoming to your child, his/her needs and his/her thrive for independence. We offer parents & babies, toddlers group; Montessori at home design, one to one support, parenting classes and online workshops. Simplicity parenting coach 2014 based on the famous book called “Simplicity parenting” by Kim John Payne. Carine is also fully trained in Child protection, has an up to date paediatric first aid qualification and is fully DBS cleared (CRB). Carine is the most amazing Montessori teacher. I employed Carine to manage my Montessori School while I was on maternity leave. Carine then stayed on for longer than thought. It was amazing to think I didn’t have to worry about anything while I enjoyed being at home with my baby. But also not have to worry about rushing back. I have also enjoyed her yoga classes with my now 3 year old. 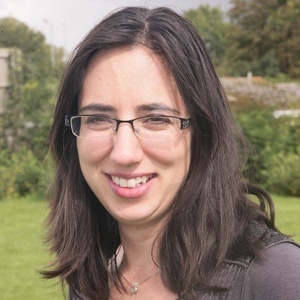 Carine is an exemplary practitioner who has an incredibly secure understanding of early years teaching and learning theories, with a specialism in the Montessori approach. Carine is passionate about working with babies and young children, evaluating her teaching meticulously as she strives to be the best practitioner she can be. Her knowledge of the Early Years Foundation Stage and its associated policies is thorough and continually updated. As Carine’s tutor in the Montessori Method of Education, I found Carine to be dedicated, hard working and committed to not only her studies but to the Montessori philosophy. She embraced Dr. Montessori’s ethos and put it into practice both in the classroom and at home. Carine was an excellent student.